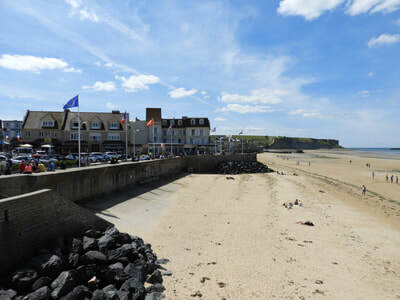 ​The Beaches of Normandy shore excursion was the high light of our AMA Waterways Paris-Normandy-Paris river cruise. 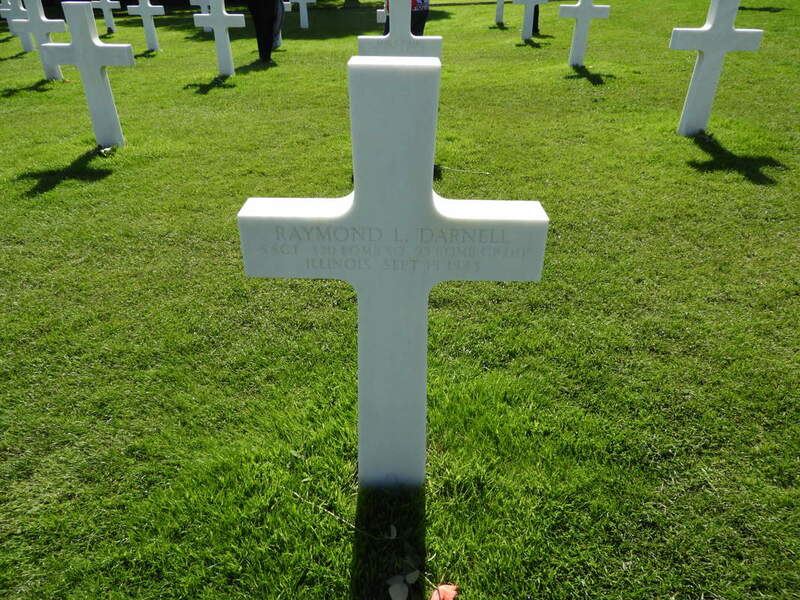 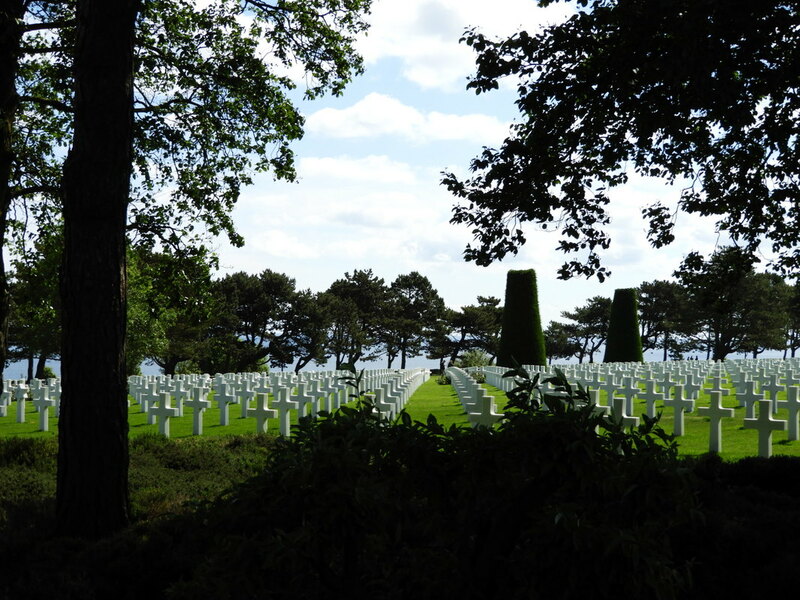 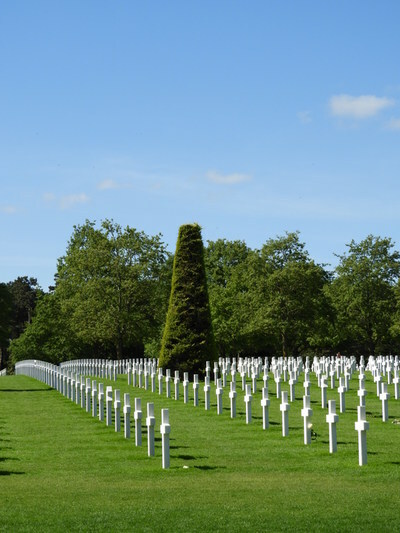 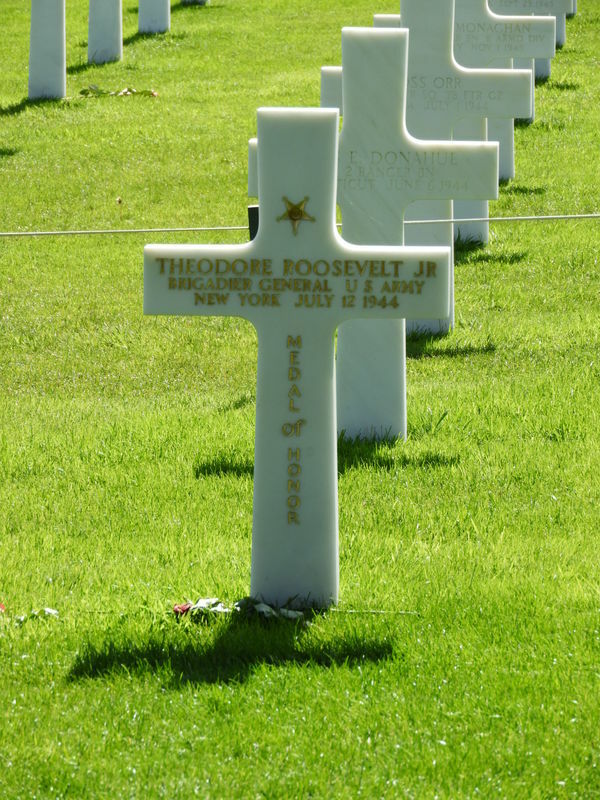 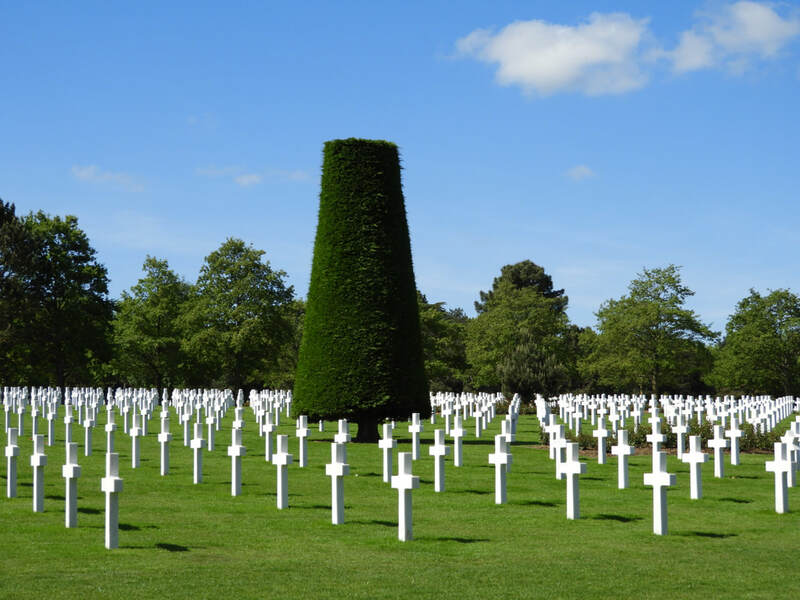 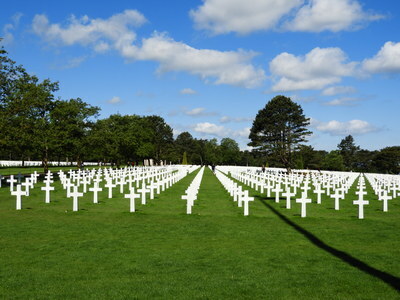 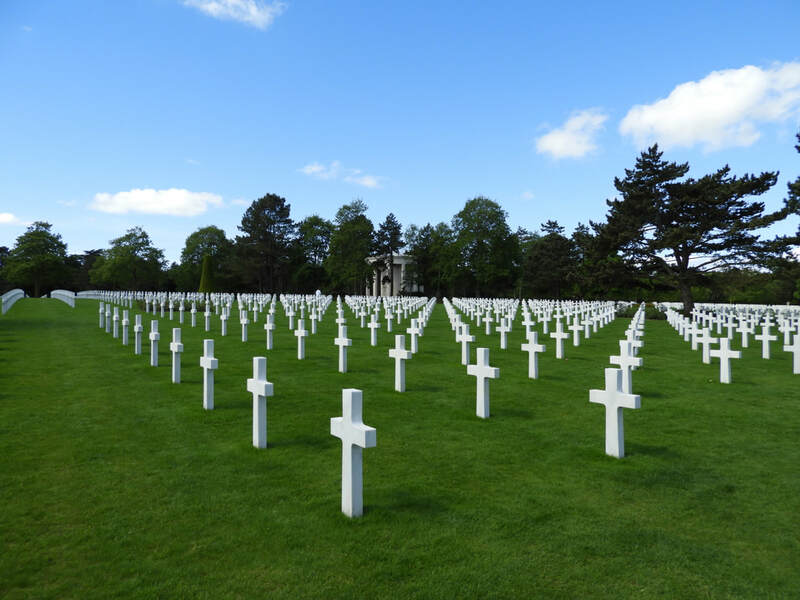 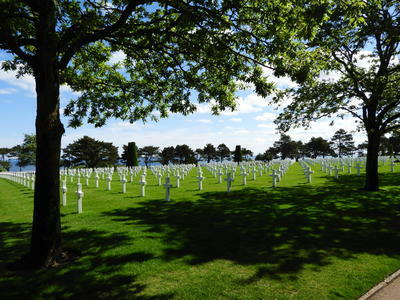 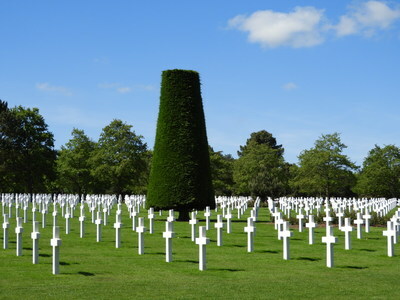 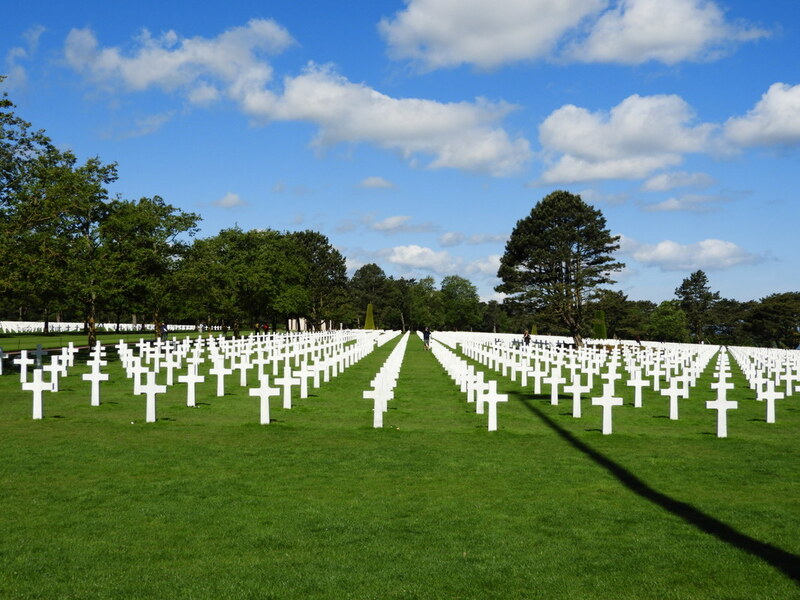 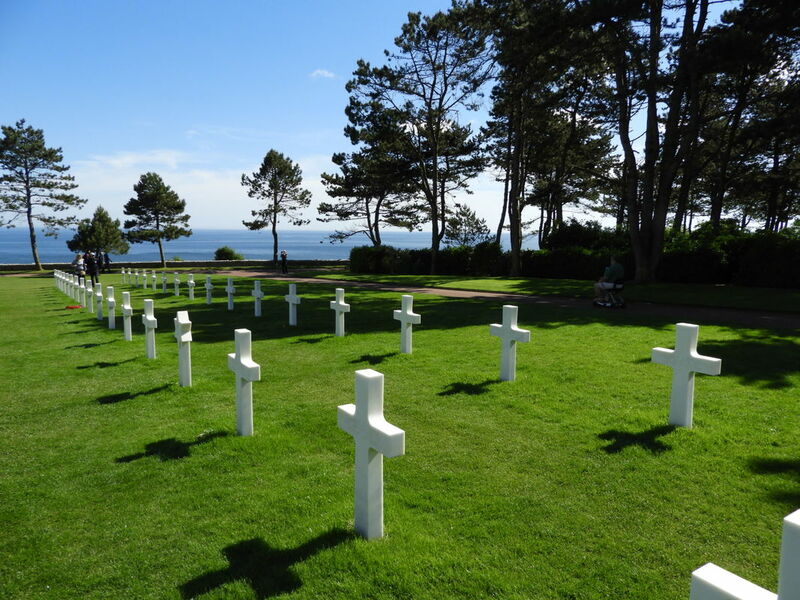 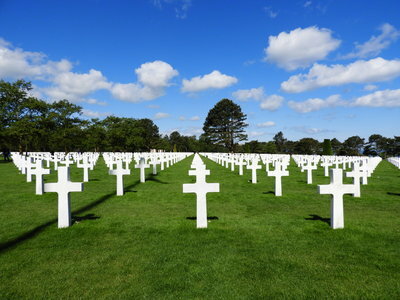 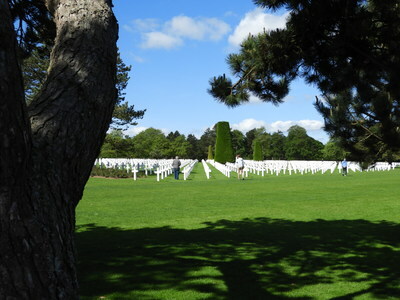 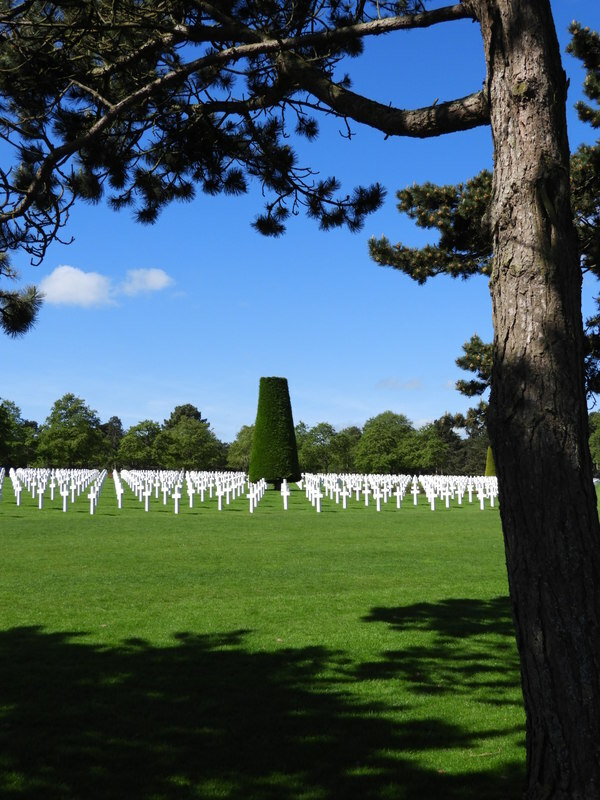 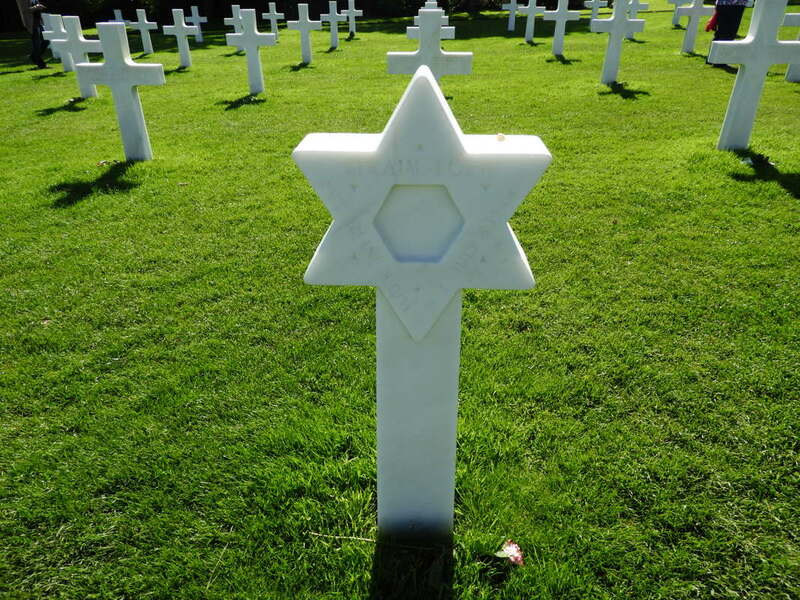 Every year, over a million visitors pay homage to the 9,387 crosses, graves of American soldiers who lost their lives on D-Day and in the ensuing Battle of Normandy and subsequent liberation of Europe. 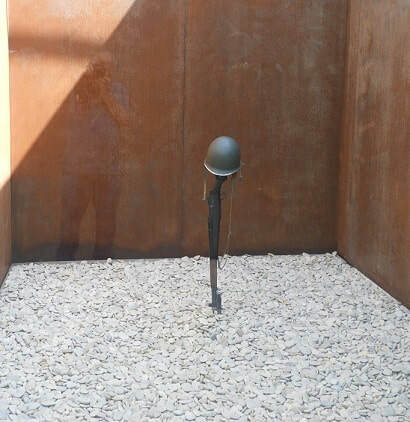 On the "Walls of the Missing" are inscribed 1,557 names. 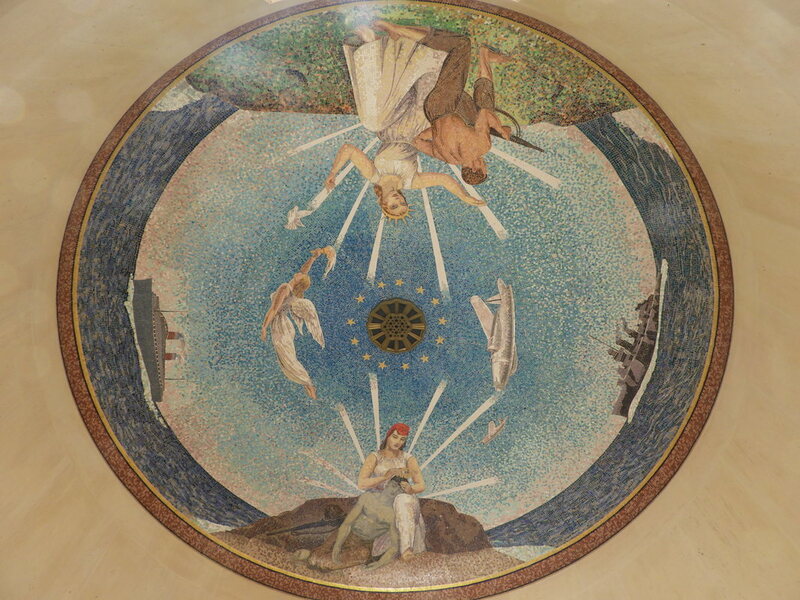 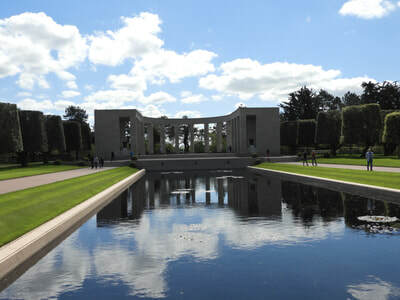 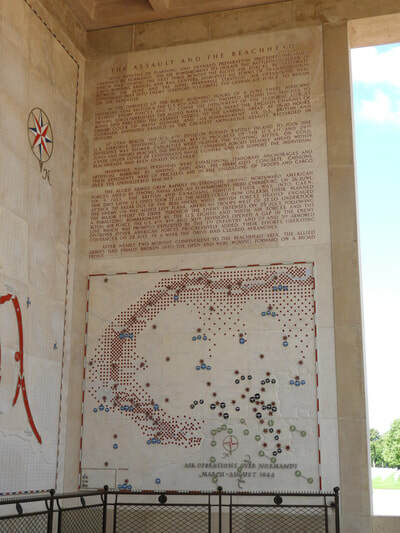 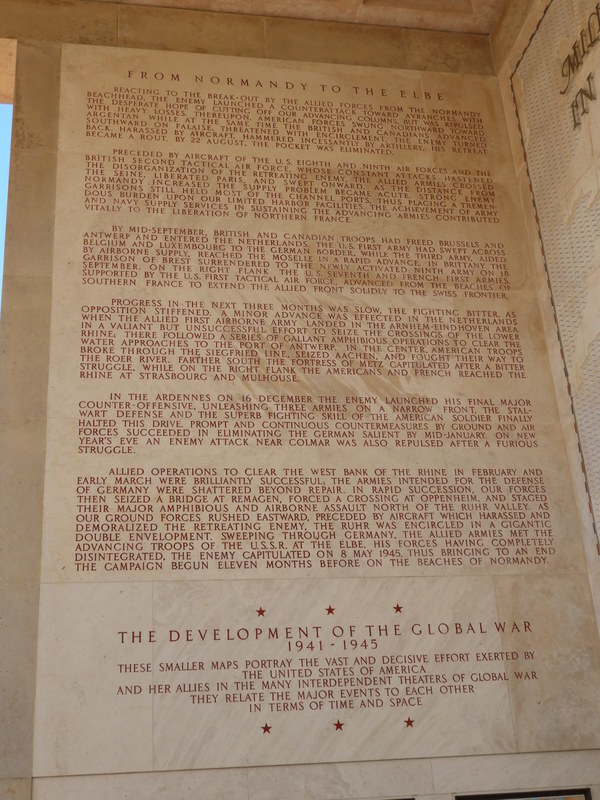 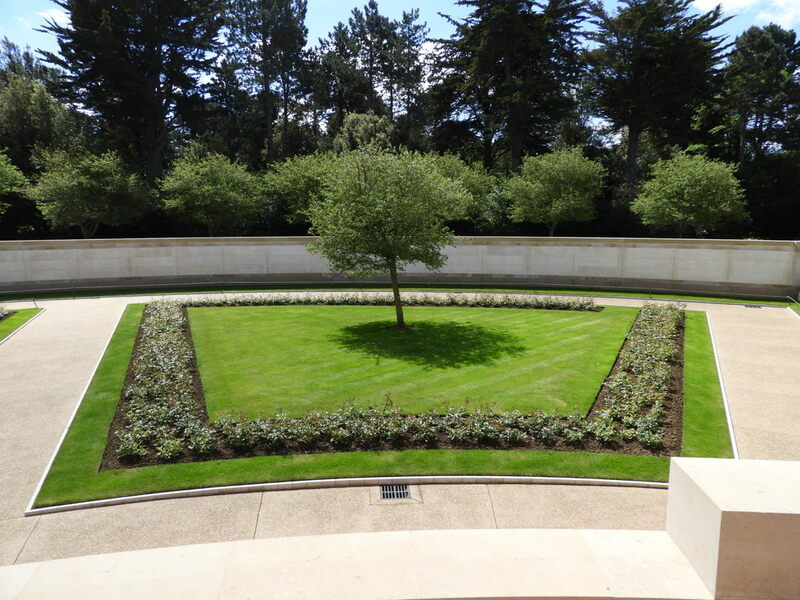 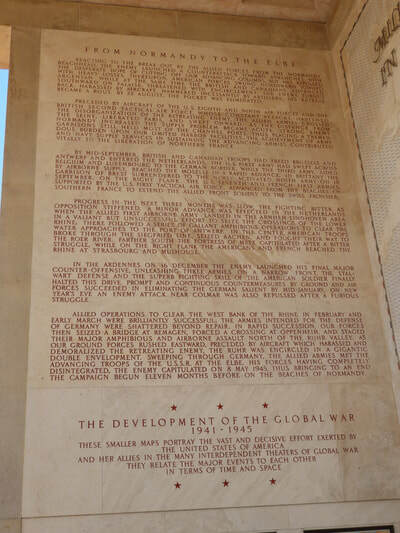 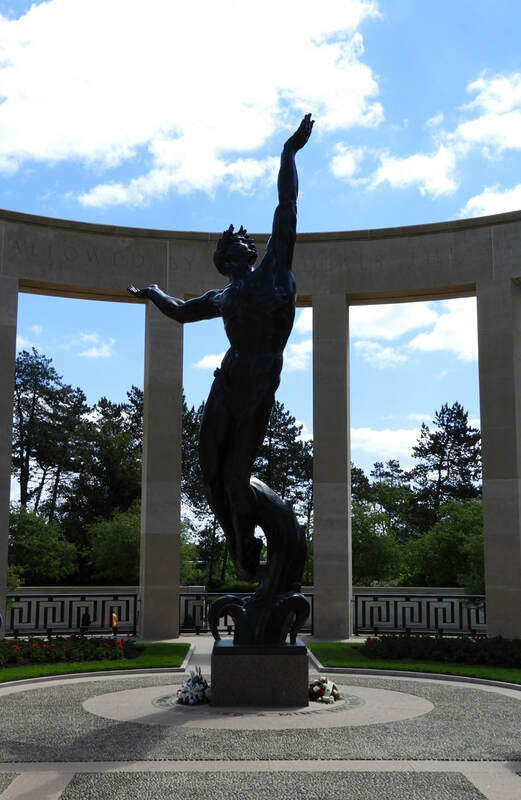 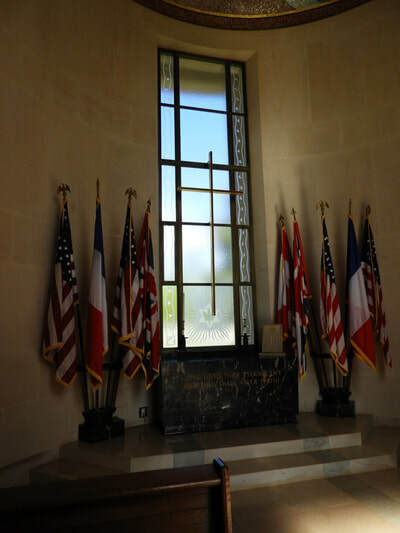 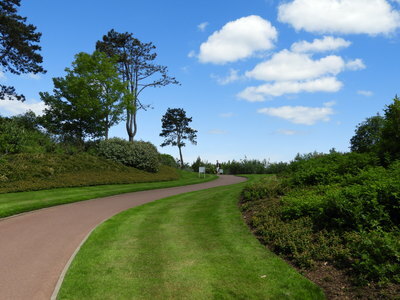 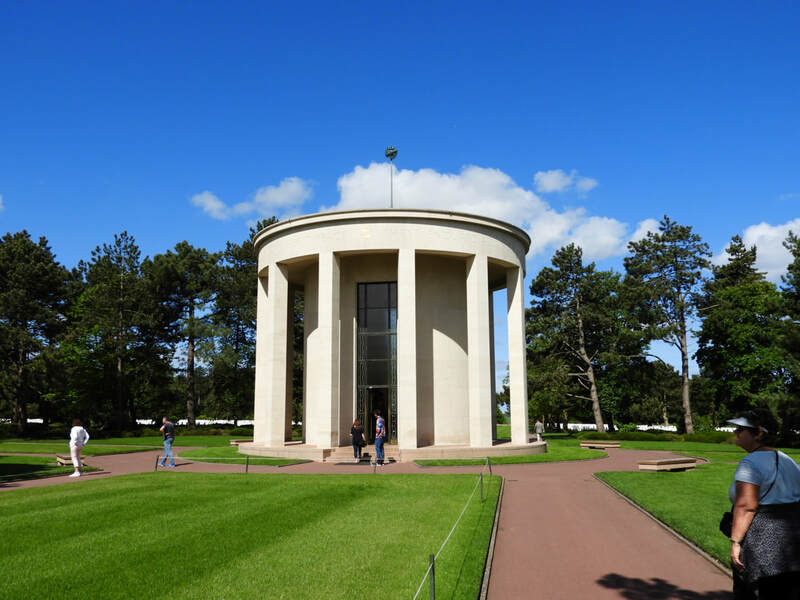 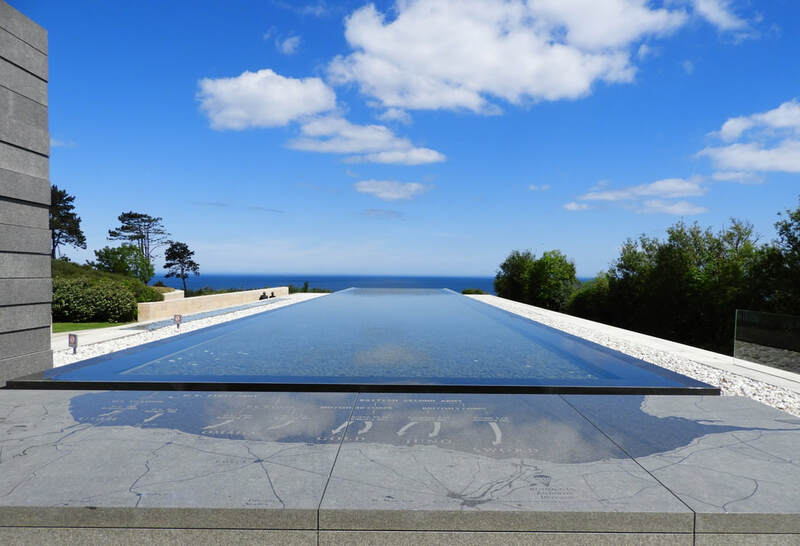 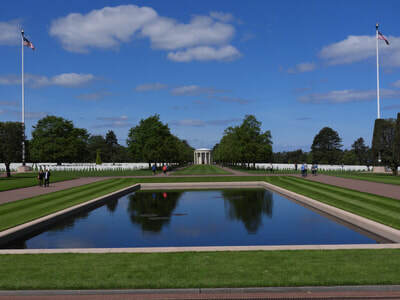 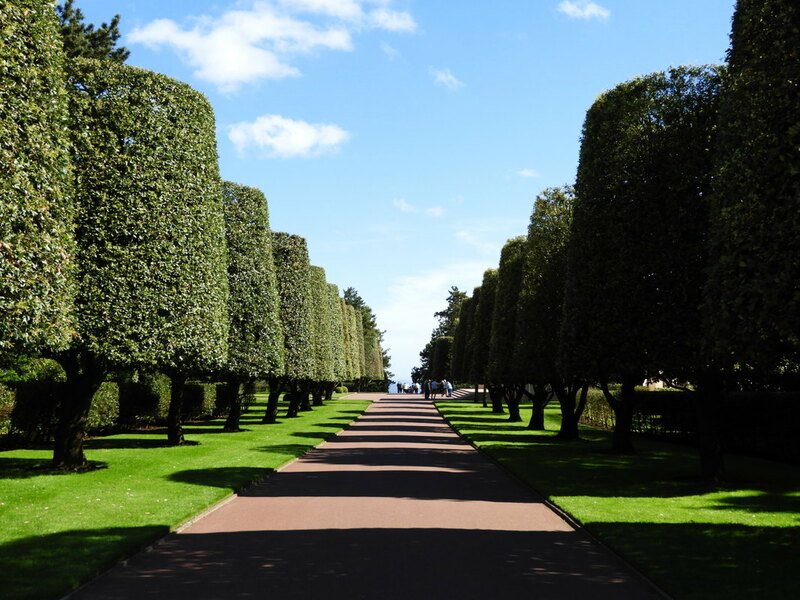 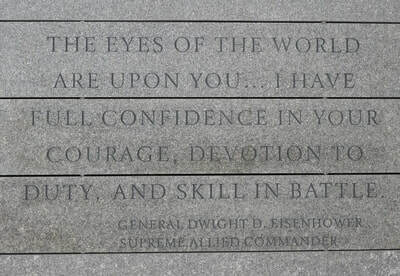 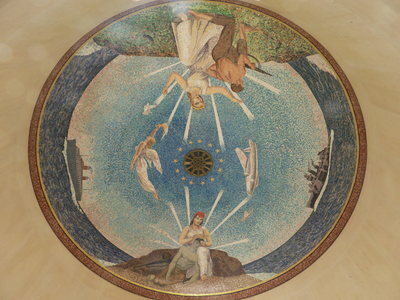 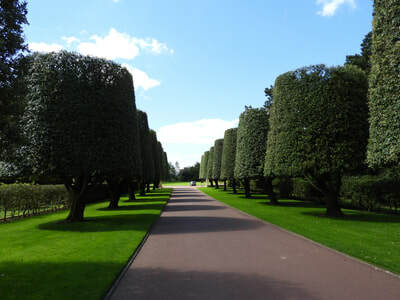 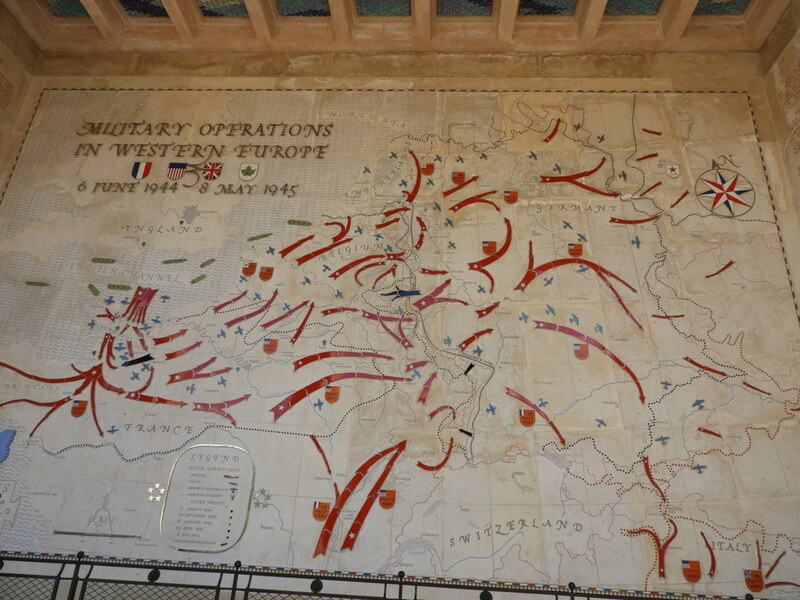 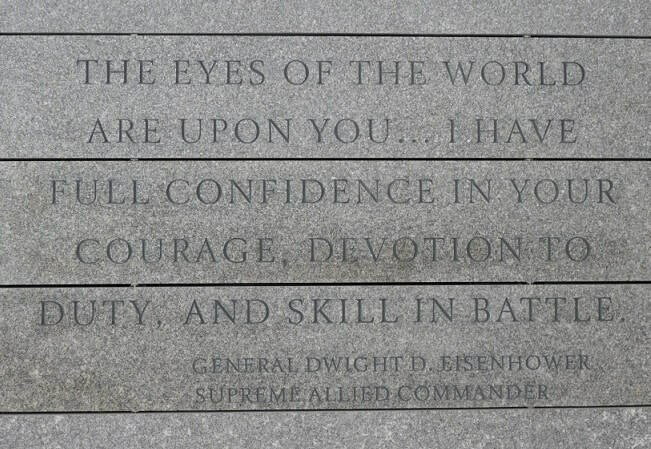 The Normandy American Cemetery, Memorial, Museum and Visitor Center is a amazingly beautifully and extremely poignant war cemetery, overlooking Omaha Beach. 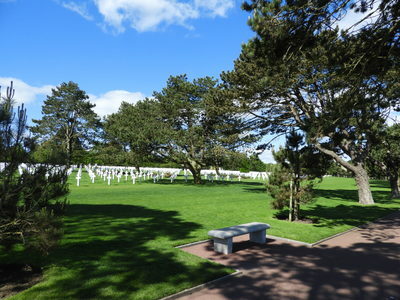 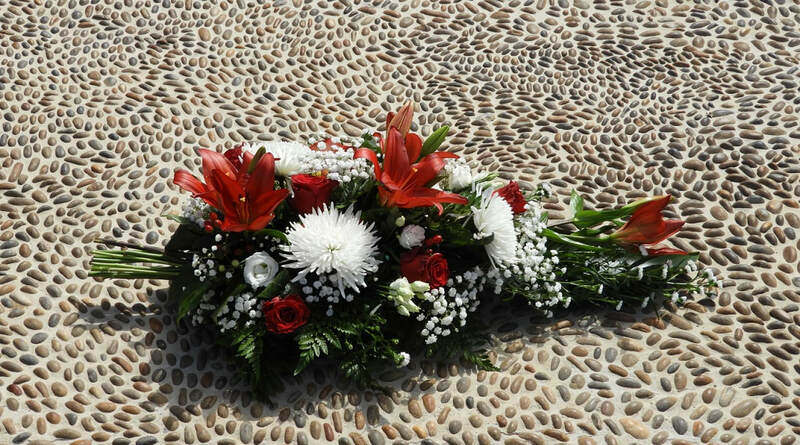 We gathered at the Memorial at noon on a beautiful sunny day, to participate in a tearful, heart wrenching and unforgettable ceremony honoring the fallen in the cemetery. A wreath was laid by two Veterans to the sound of the Star Spangled Banner, giving all pause to reflect on just how much these brave souls gave, for our freedom. 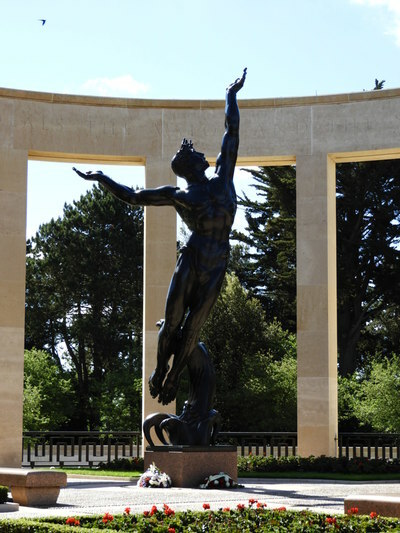 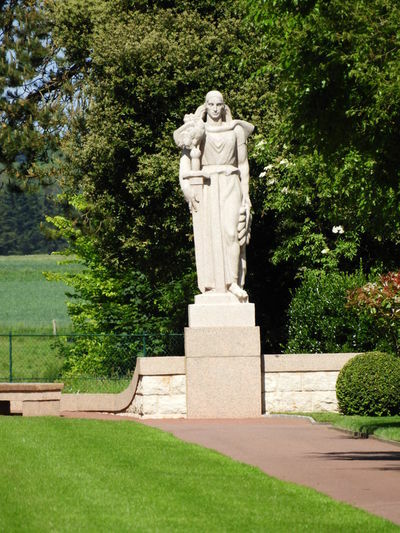 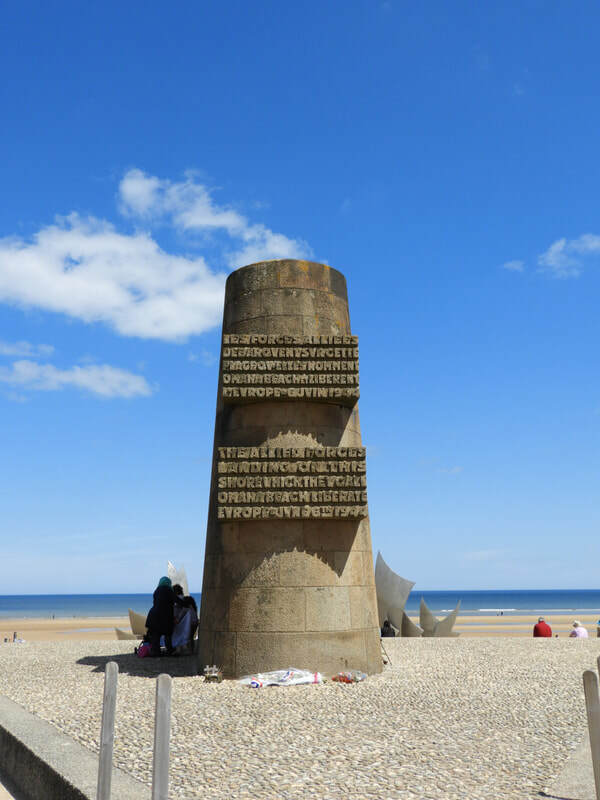 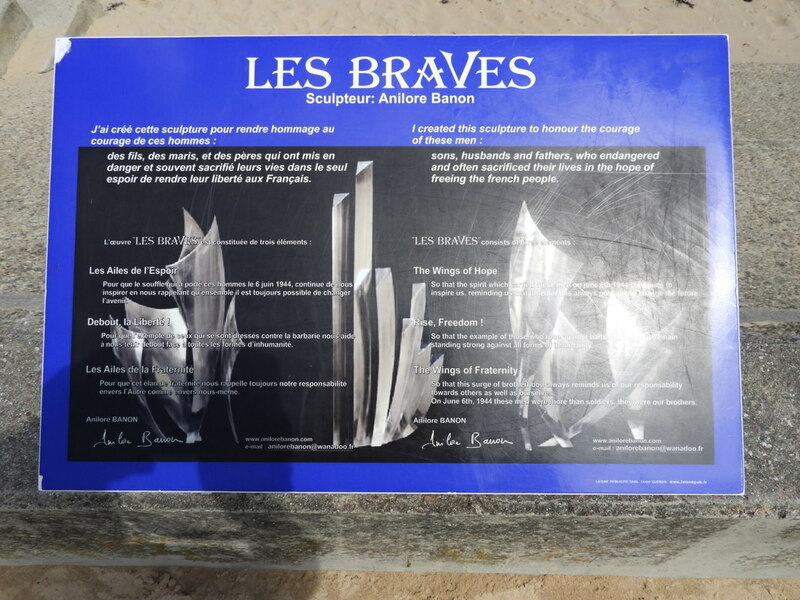 The Statue Les Braves on Omaha Beach is a striking steel sculpture which pays homage to the soldiers who landed there. 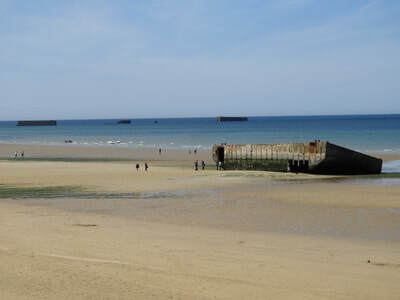 The Gold Beach sector is where we saw the remains of the floating prefabricated Mulberry Harbor. This amazing feat of engineering was fabricated in secrecy in Britain, floated into position immediately after D-Day and was operational within 12 days with the capacity to move 7,000 tons of vehicles and supplies per day from ships to shore. 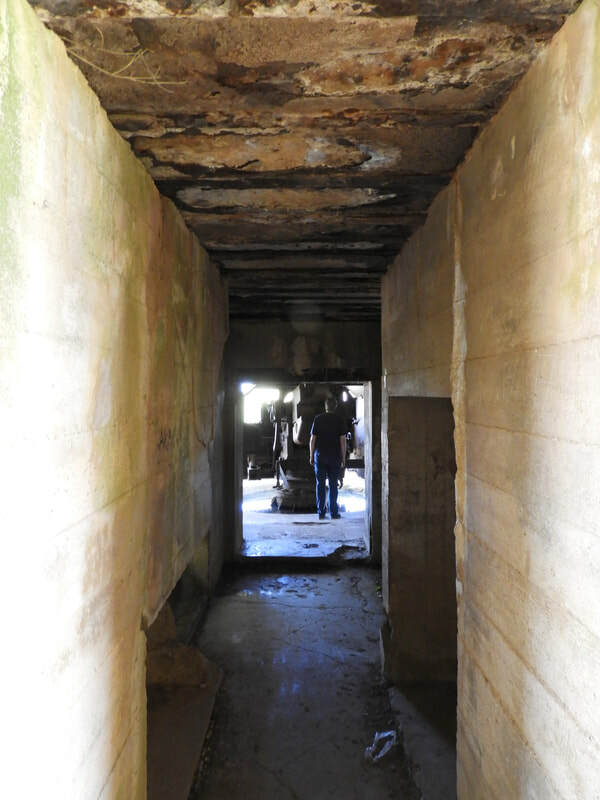 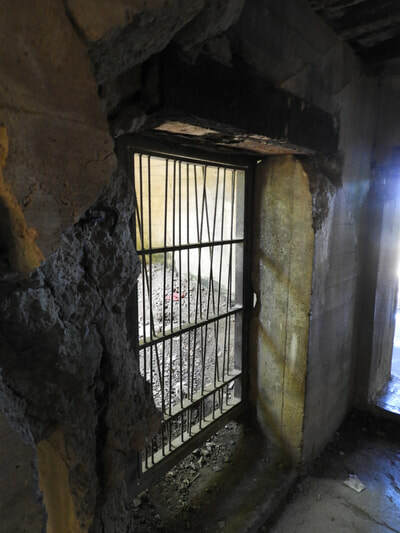 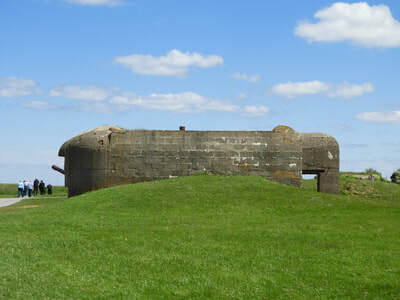 German military defense fortifications starkly illustrated life in an artillery battery. 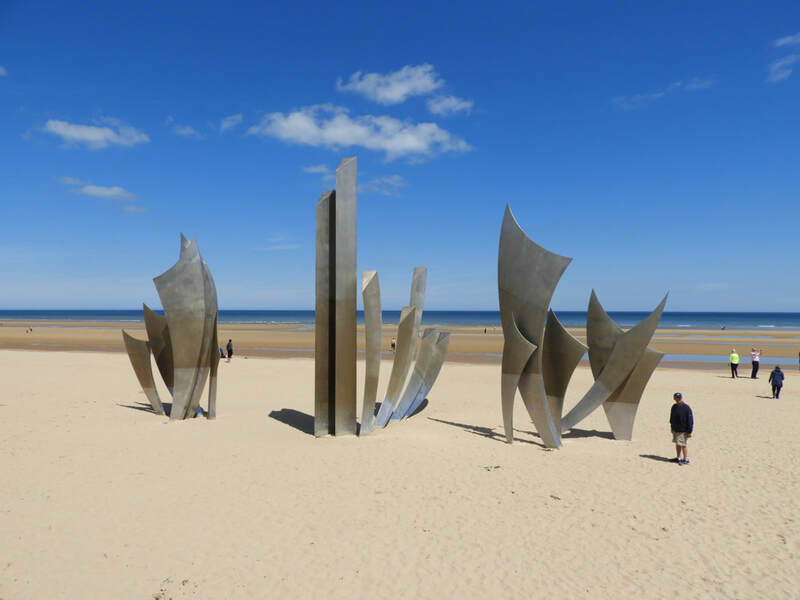 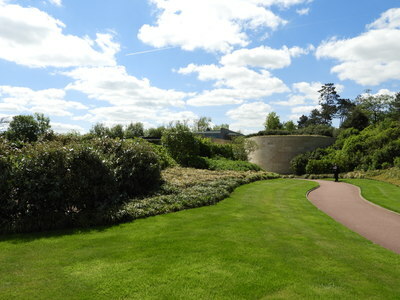 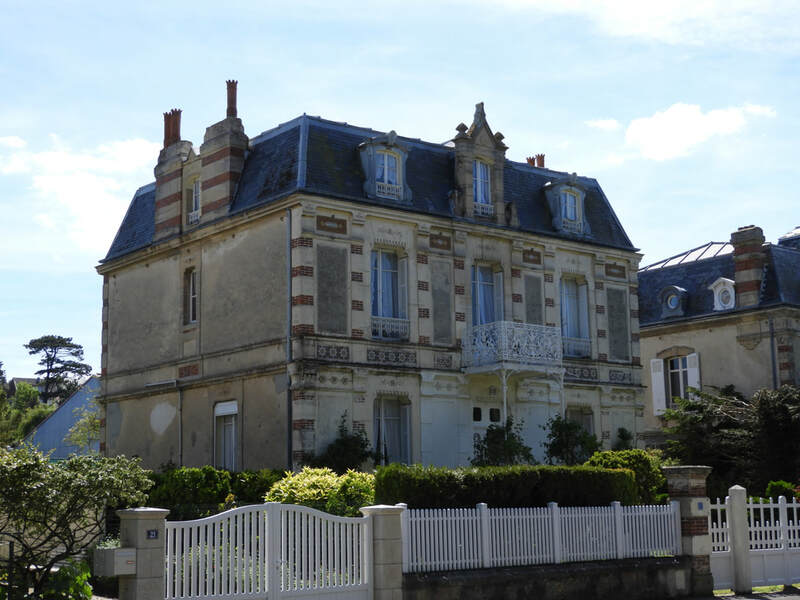 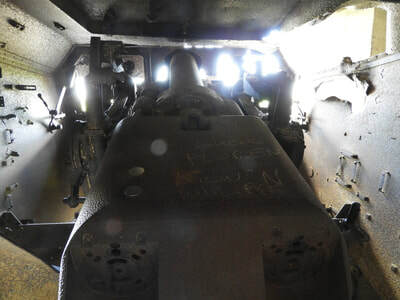 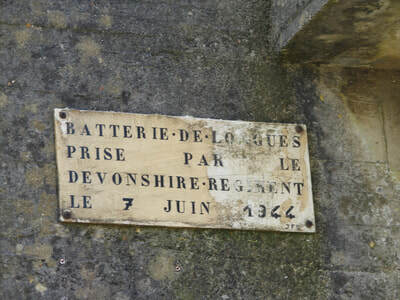 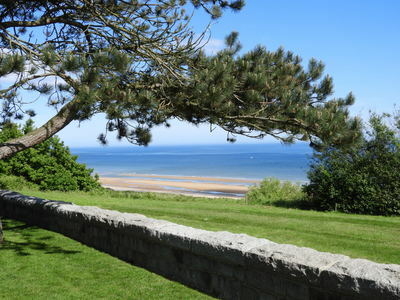 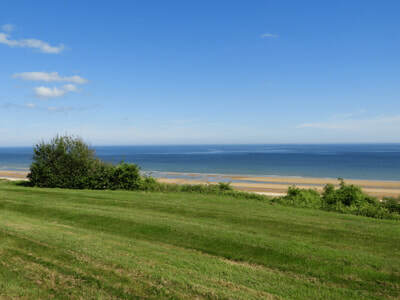 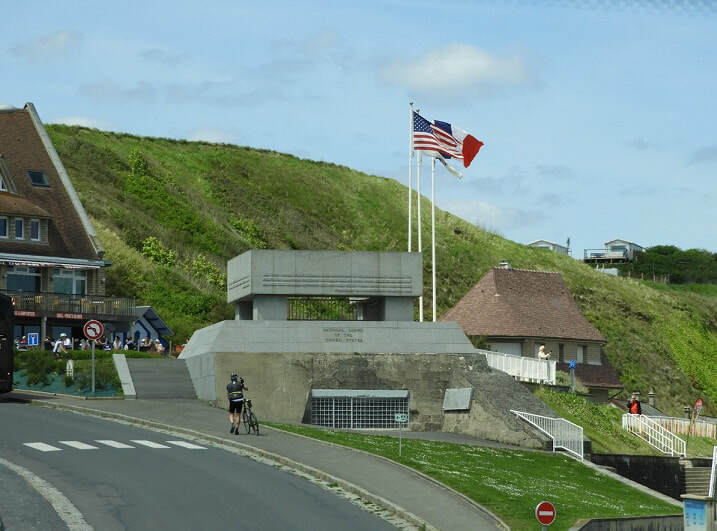 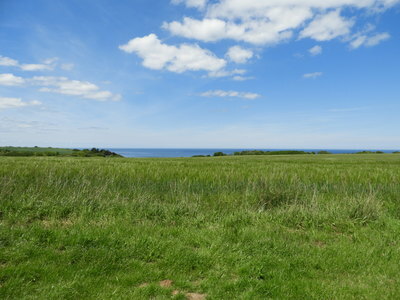 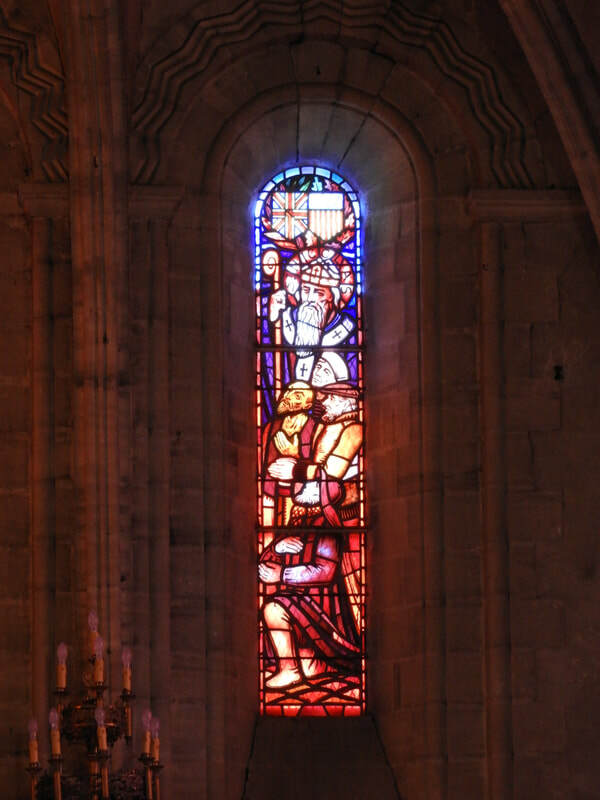 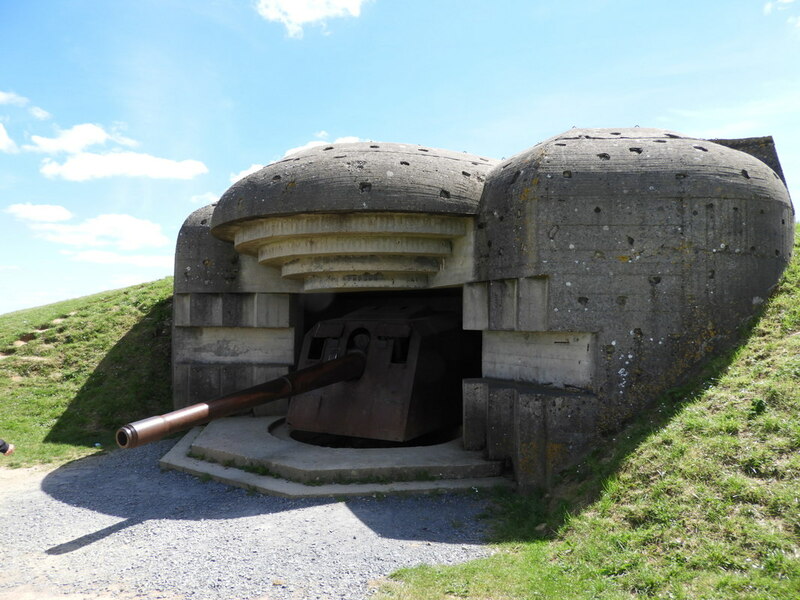 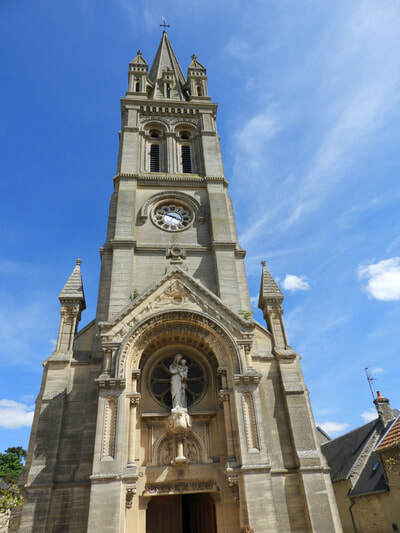 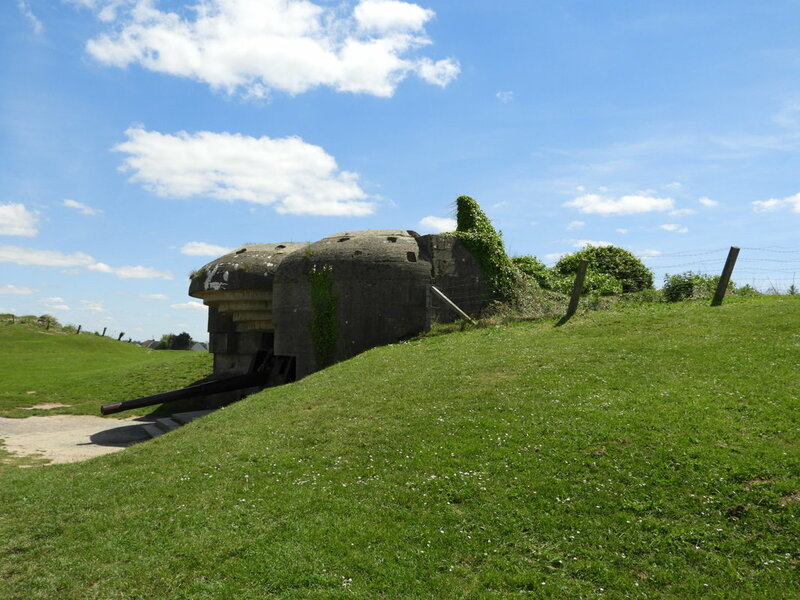 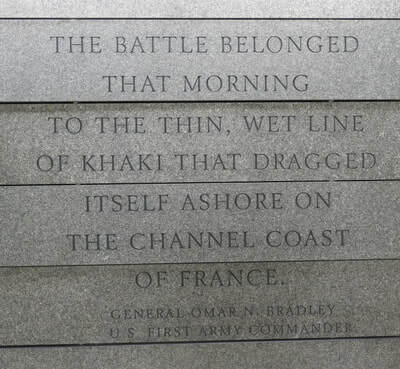 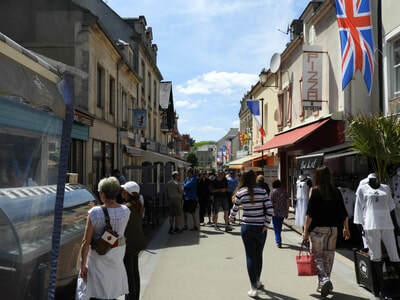 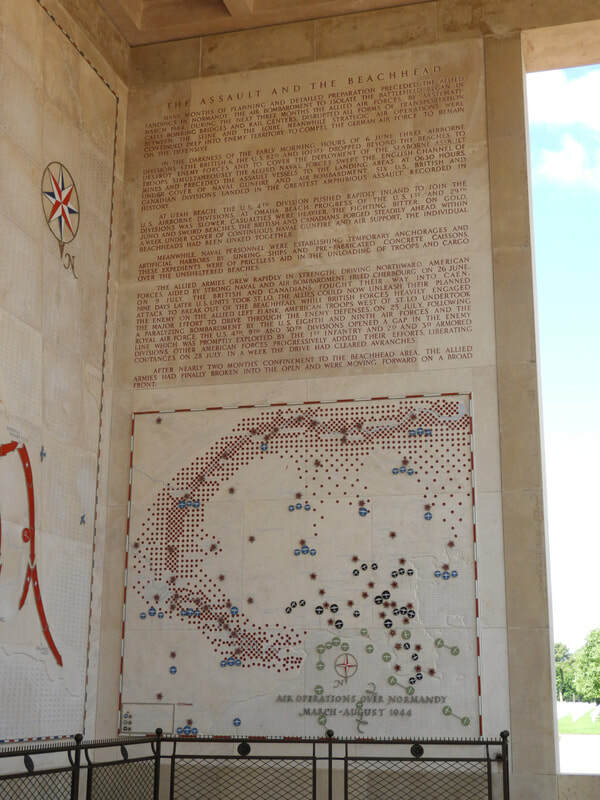 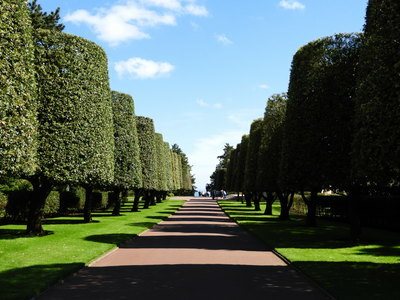 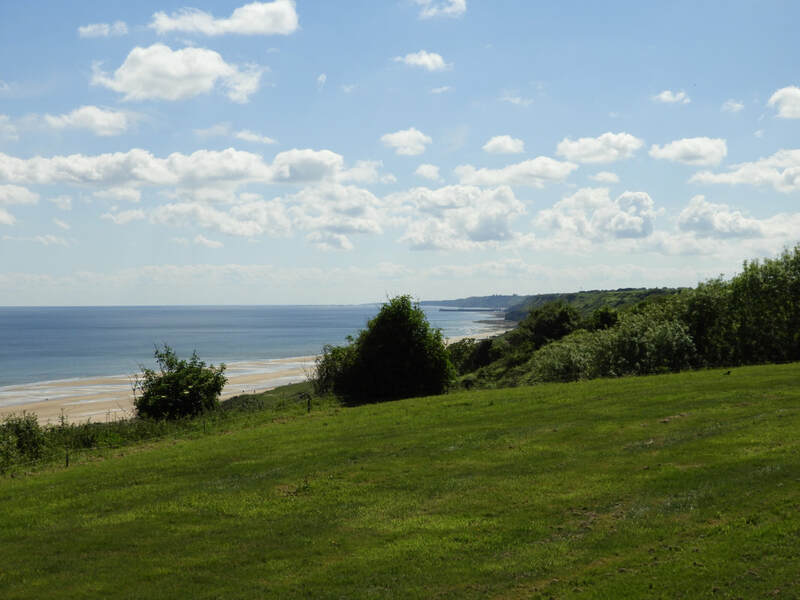 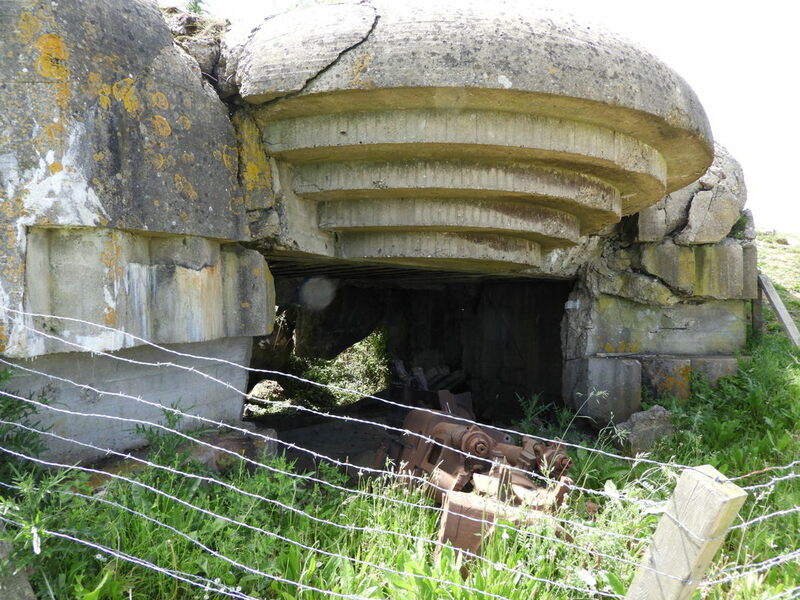 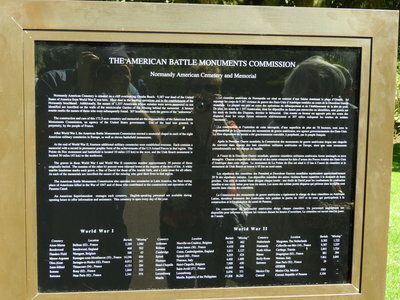 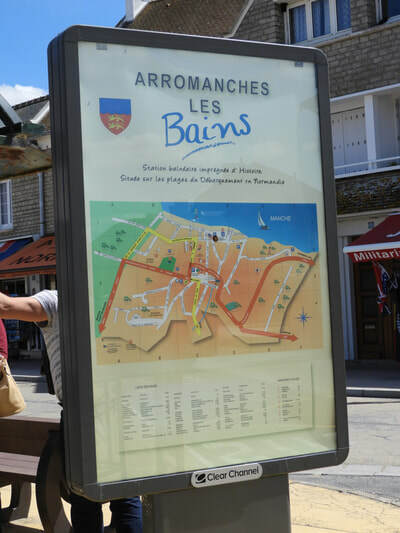 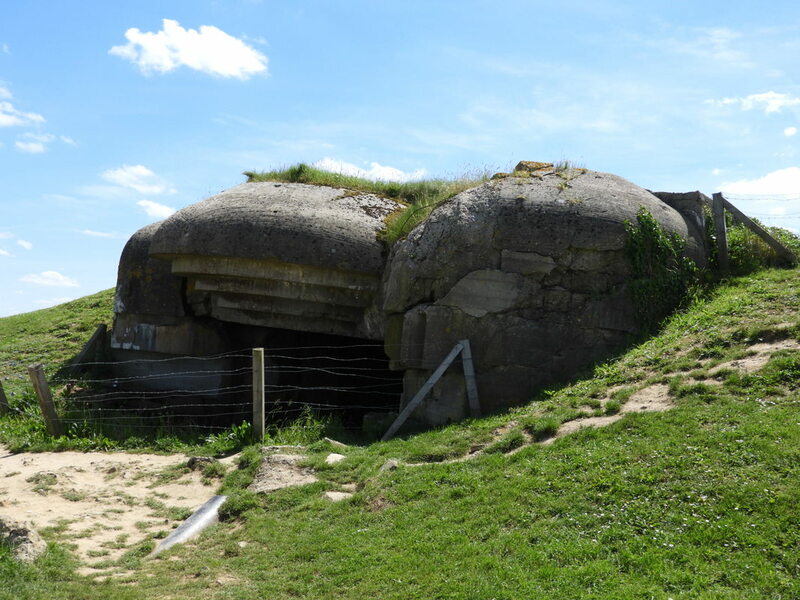 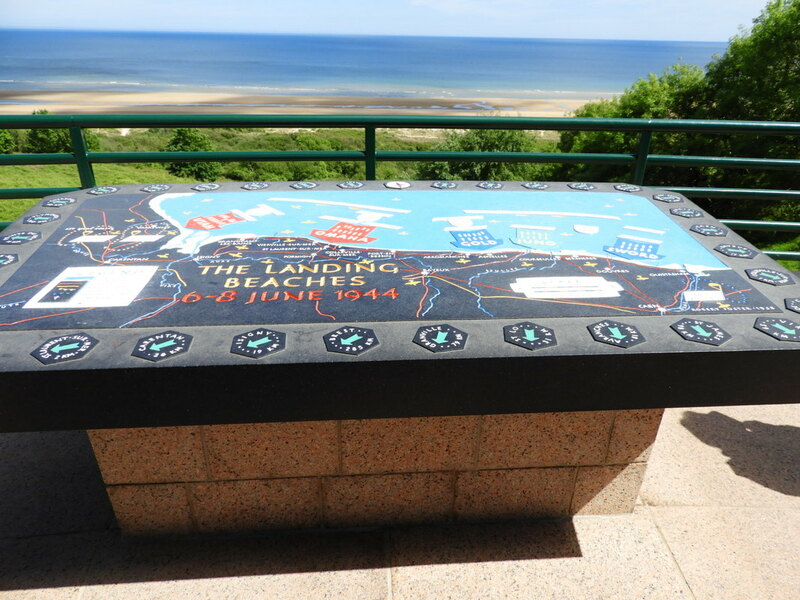 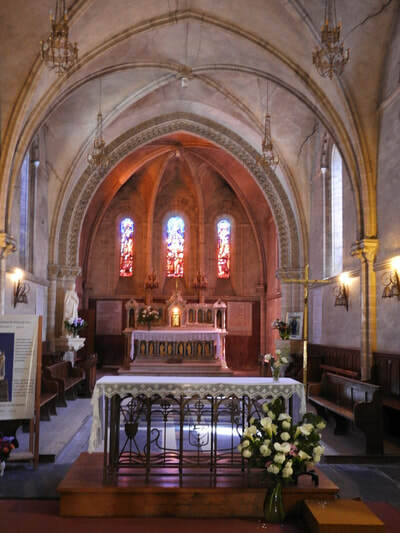 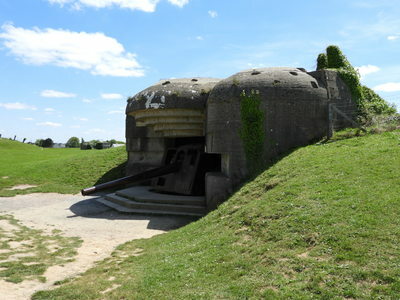 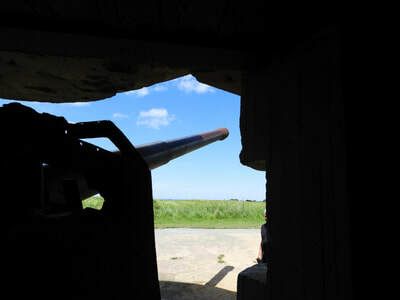 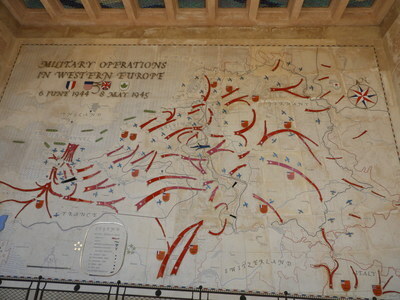 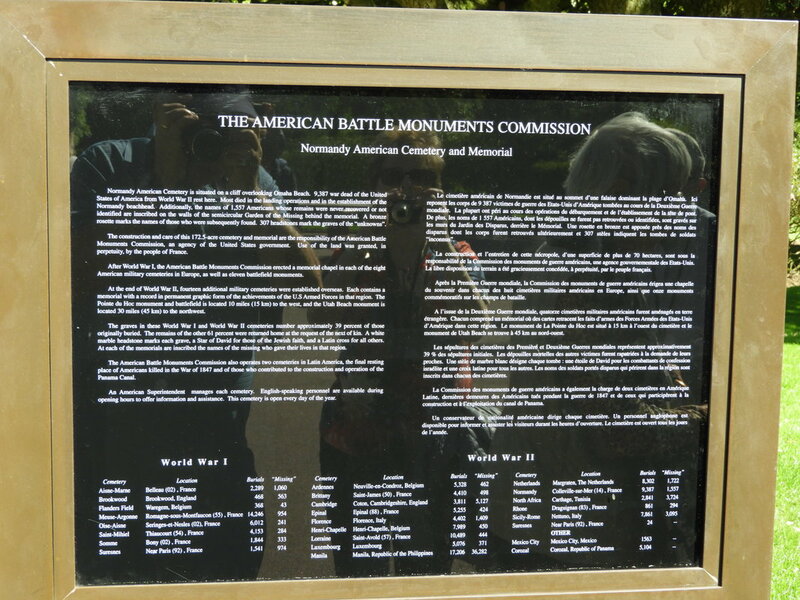 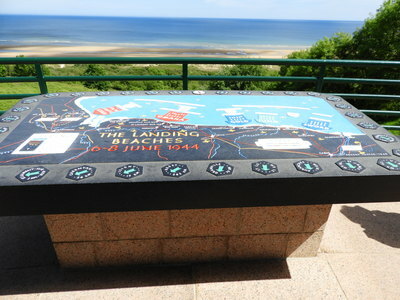 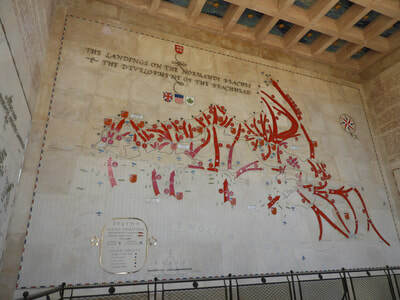 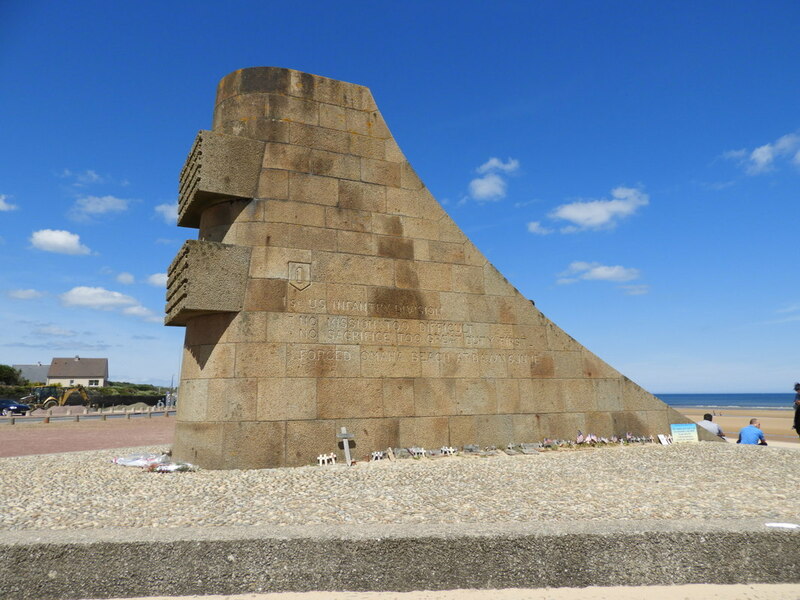 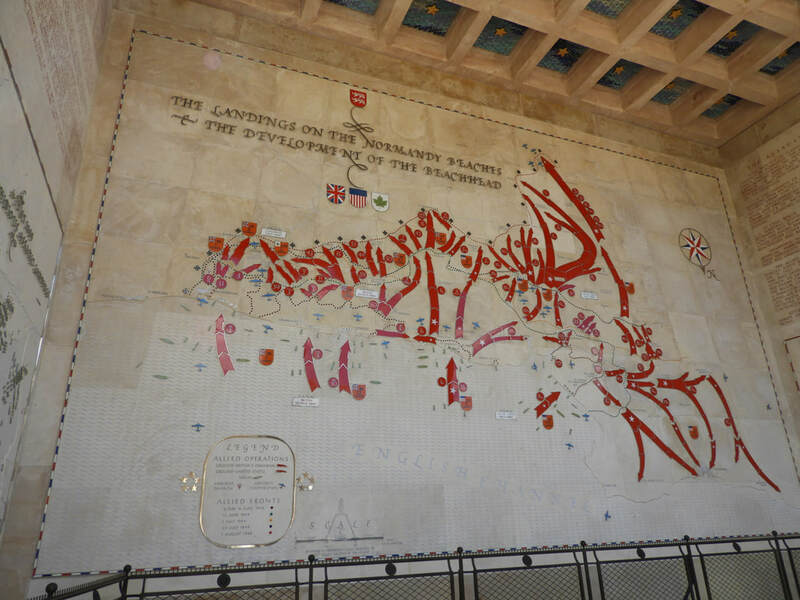 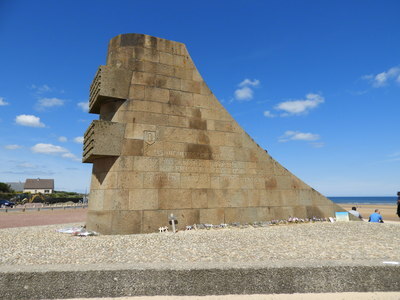 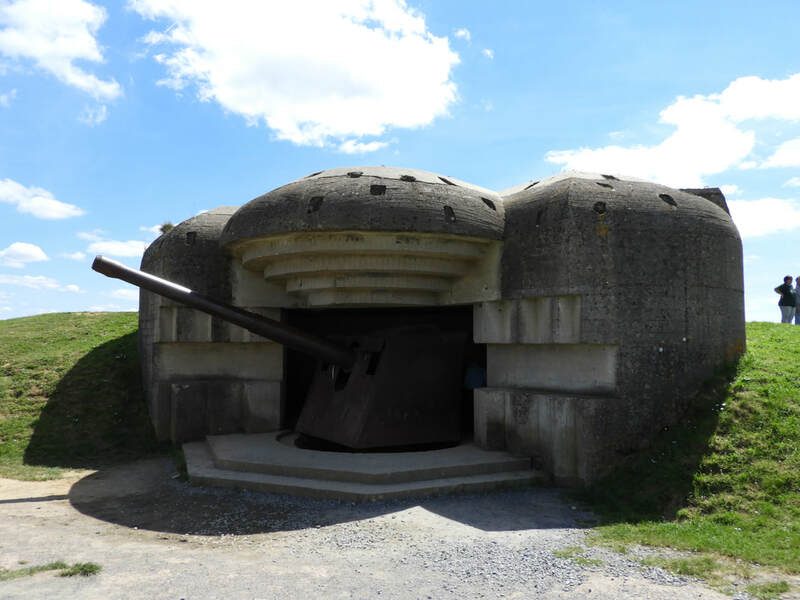 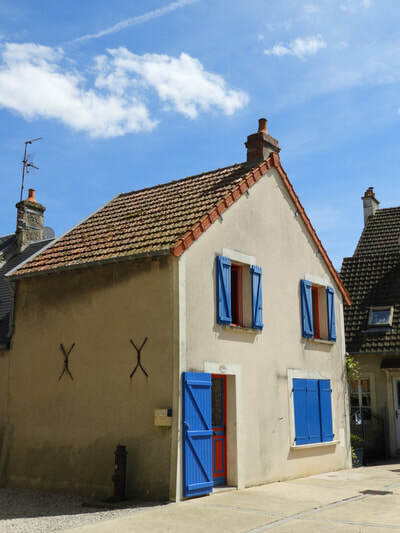 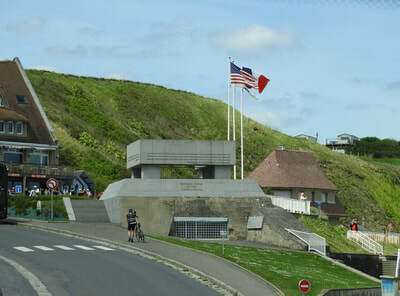 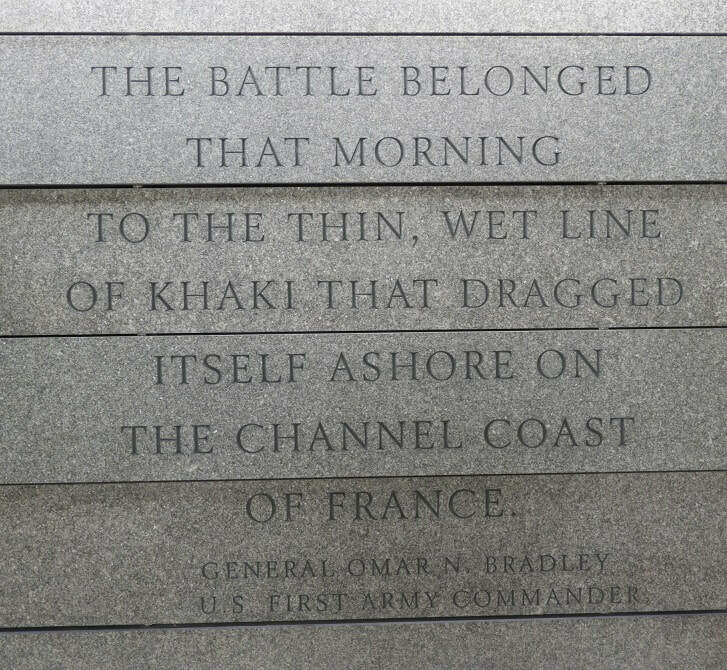 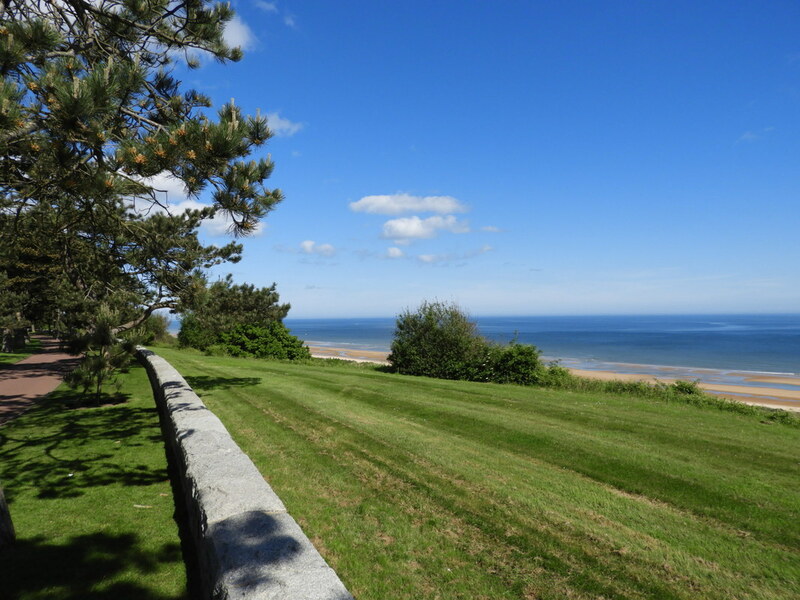 For more information on the Normandy Beaches click here. 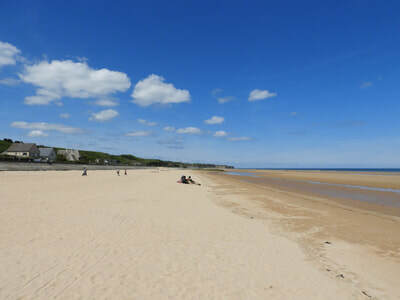 ​Enjoy! 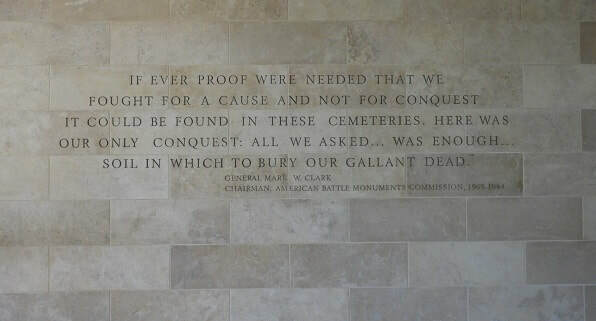 - Bob and Gillian.